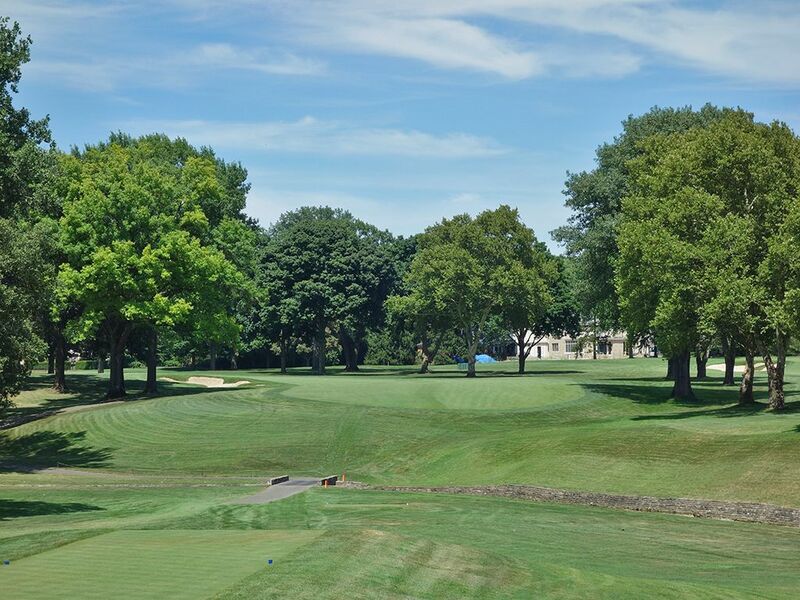 Course Website: Official Website - Visit Scioto Country Club's official website by clicking on the link provided. 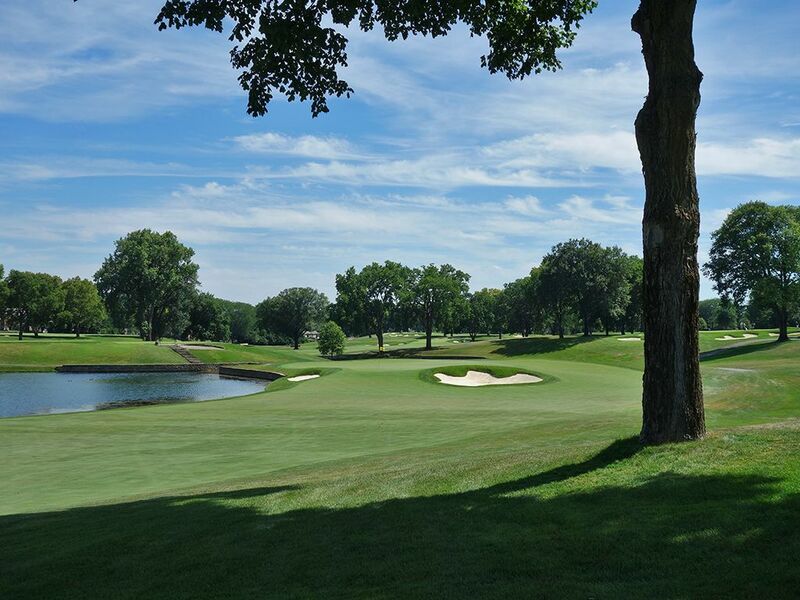 Accolades: Ranked 6th in Ohio on Golf Course Gurus' Best in State list. 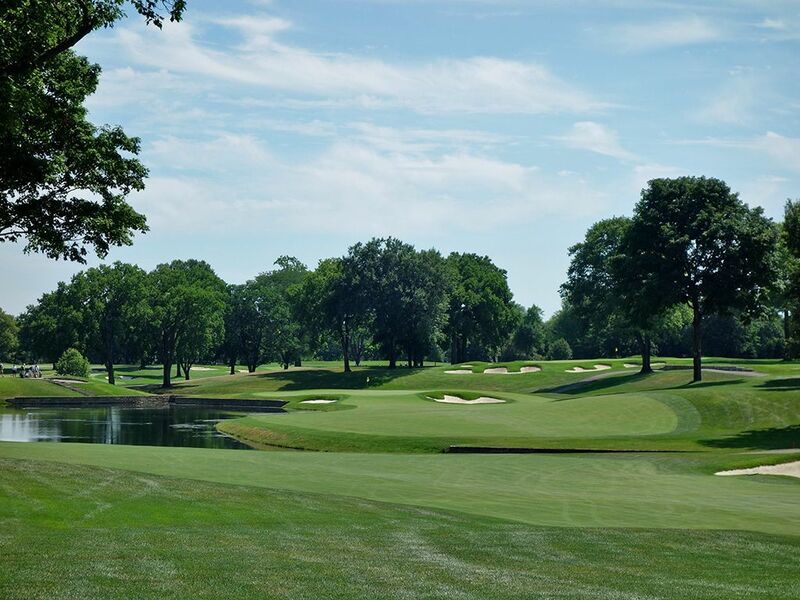 1926 U.S. Open (Bobby Jones), 1931 Ryder Cup (United States 9-3), 1950 PGA Championship (Chandler Harper), 1968 U.S. Amateur (Bruce Fleisher), 1986 and 2016 U.S. Senior Opens (Dale Douglass and Gene Sauers). What to Expect: When you talk about Scioto (pronounced "sigh-OH-tuh") there will inevitably be one name that will come up; Jack Nicklaus. Jack Grout was the head professional when young Jack Nicklaus was learning the game and helped teach the fundamentals to the boy that would one day become the greatest golfer of all time. 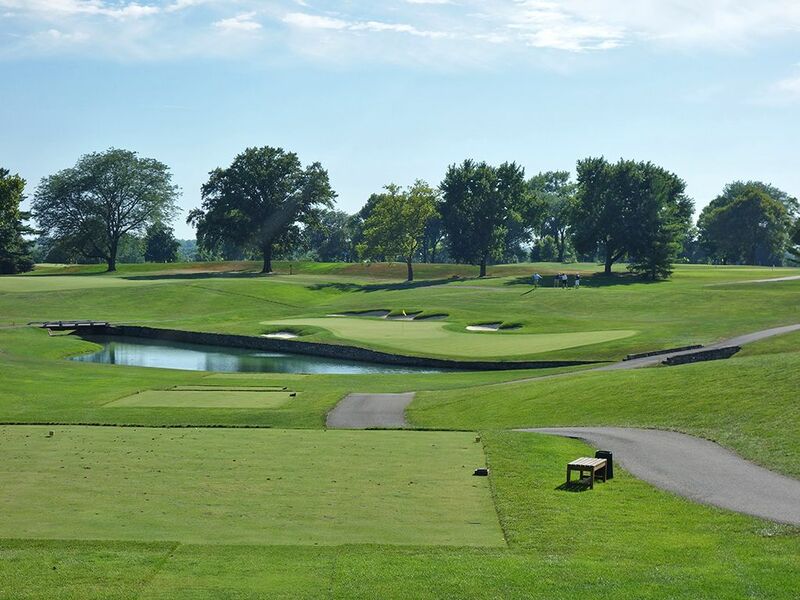 Today the course is located northwest of downtown Columbus a couple miles west of Ohio State University and is surrounded by housing and busy roads, but inside of the property resides a historic track marked by a 70,000 square foot clubhouse that is sufficient to host any level of golfing event. Perhaps the features that stands out most is how well conditioned the bentgrass fairways and greens are. They create an exceptional surface for your ball to enjoy and you get what you deserve when you strike a shot or roll a putt. 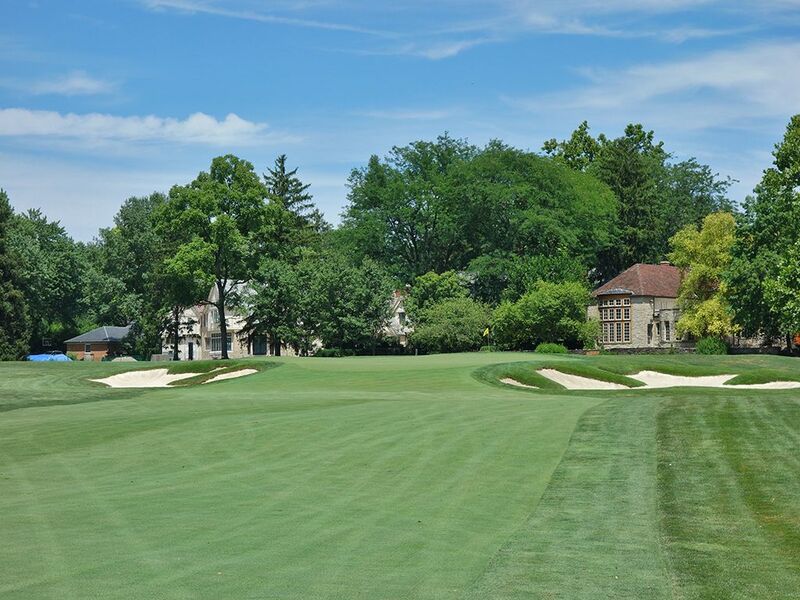 In the same vein as Winged Foot, the bunkering around the raised greens is attractive and strategic, but the look and feel is repeated so much throughout the routing that is becomes a bit monotonous and affects some of the memorability for individual holes on the course. Scioto is what I call an "everyday" course where you'd enjoy having it as your home course to play everyday since the routing is pleasant, there aren't many places to lose a ball, and you'll have plenty of opportunities to use your full arsenal of clubs, but the course could benefit from a few more top shelf golf holes to compliment the 2nd and 8th which clearly stand head and shoulders above the rest. 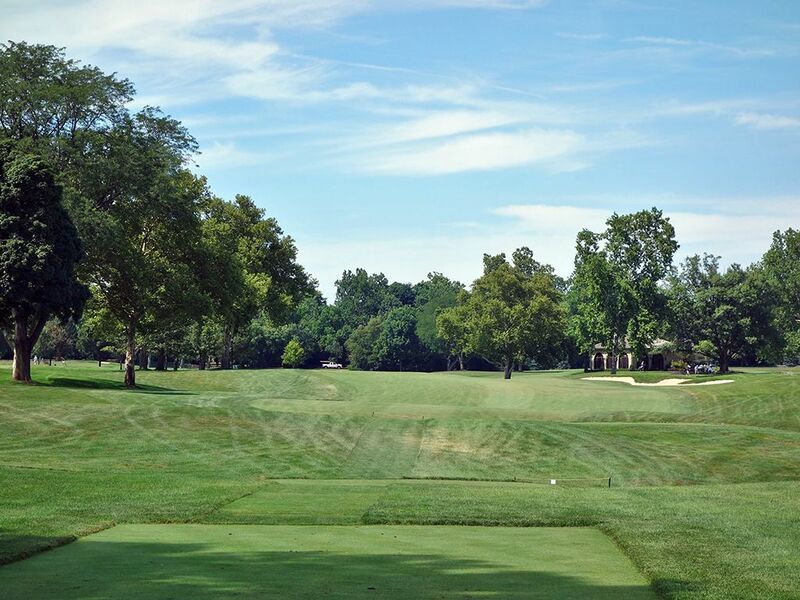 If you have ever wondered why Jack Nicklaus played a power fade, a visit to famed Scioto should teach you as every out of bounds on the course is to the right and Jack didn't want to line up out of bounds and try to draw the ball back into play. 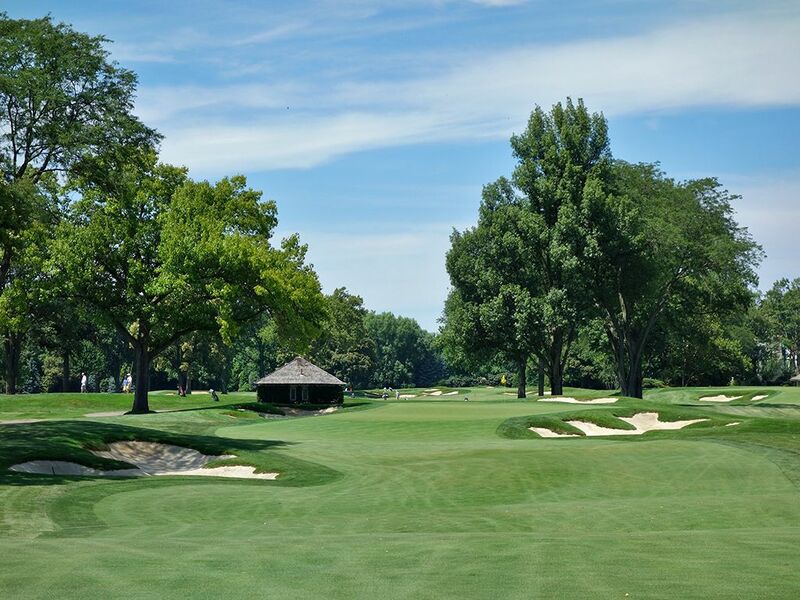 Ultimately Scioto is an American classic with a pleasant routing, classy operation, and tons of history to enjoy. 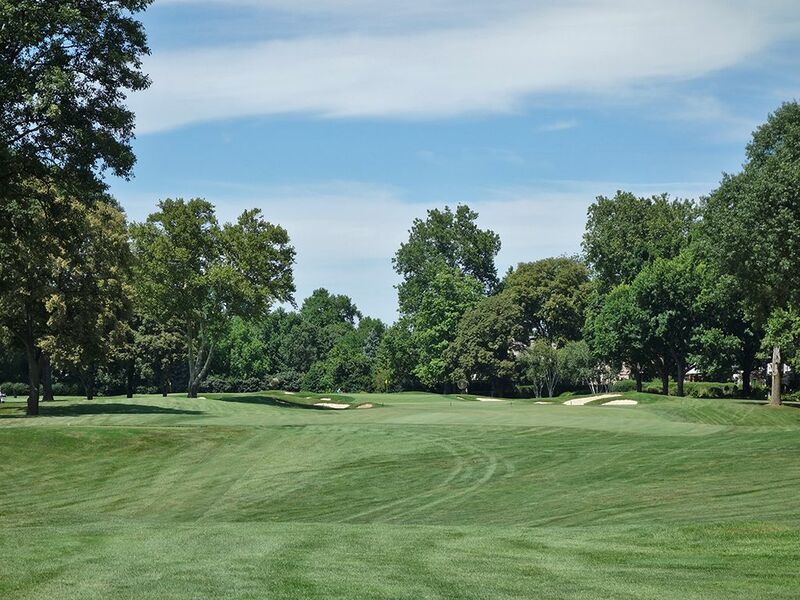 Signature Hole: 8th Hole – 516 Yard Par 5 – Played as a par four in championship events, the attractive 8th is a reachable par five that is best attacked from the left side of the fairway away from the trio of bunkers that protect the right side. A creek cuts through the fairway and runs into a pond that frames the left side of the final 100 yards of the hole. Players that bail out to the right on their approach will find a sizable landing area but are then left with a downhill chip to a raised green off of a tight lie with water looming beyond the putting surface. 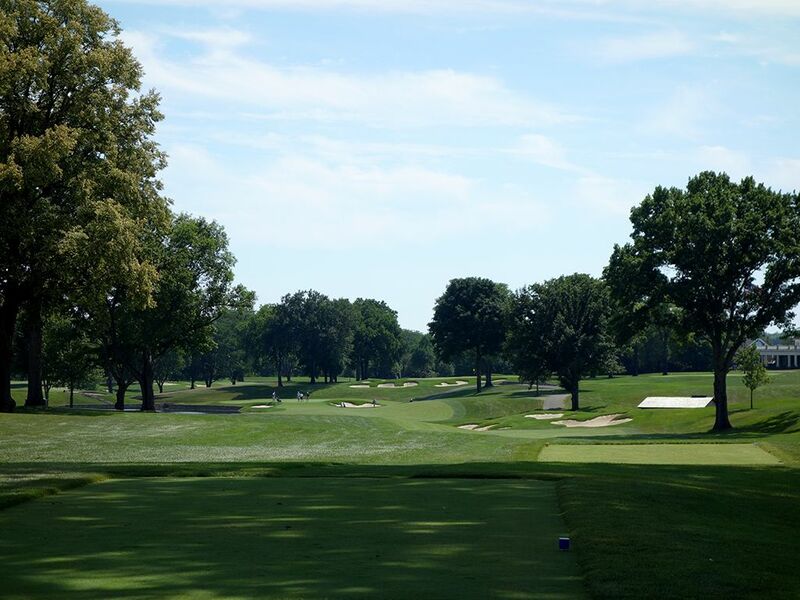 It is a brilliant hole that pairs with the 2nd as far and away the best holes at Scioto. Best Par 3: 17th Hole – 187 Yards – The attractive downhill 17th plays to a green fronted by a pond and further protected by a trio of bunkers. The prudent play is to the right side of the green where the most depth is available to play with while pins tucked on the left are for suckers or players deep in the zone. Right of the green is a bailout area for players that aren’t feeling confident attacking the flag and can be a decent play since that area feeds down towards the putting surface. This is a good match play out late in the round since it can really reward the player willing to challenge the trouble surrounding the green. Best Par 4: 10th Hole – 407 Yards – The back nine starts with a straightaway par four with a bunker on the right side of the driving zone before the fairway slopes downhill and out of view. Big drives that get passed the hill will set up a short approach shot to the green assuming they don't go so far to bring the creek into play that cross the fairway 50 yards from the front edge of the putting surface. A pair of bunkers squeeze the front of the green and make attacking the front third a challenging proposition while the back third offers more than double the surface to attack. Approaches pulled left of the bunker will bring the creek into play again as it flanks down that side. 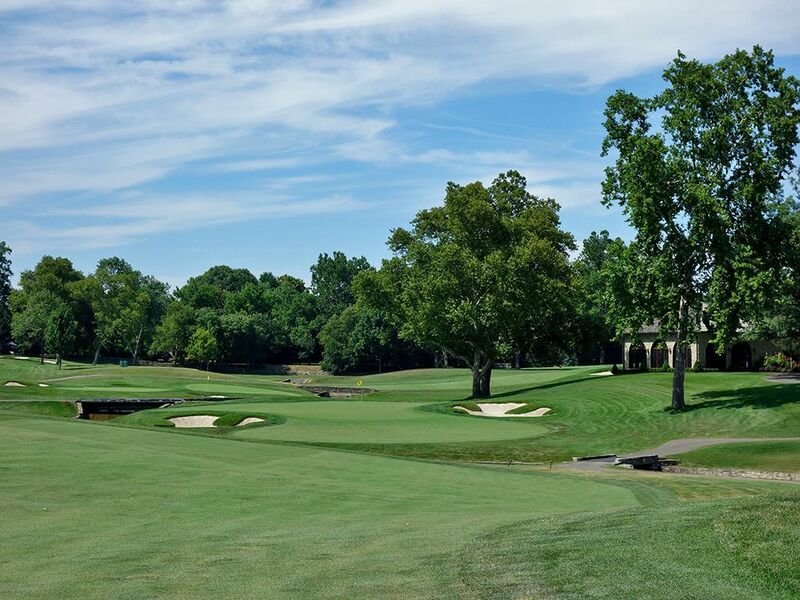 Best Par 5: 6th Hole – 556 Yards – The 6th hole is a classic, lengthy dogleg left that can be shortened if you know how to work the ball. The tee shot plays over a creek and features a bunker protecting the inside corner of the dogleg. Most tee shots will come up just short of the bunker and give players a chance to chase a draw around the corner and cheat some yardage off enroute to the narrow green featuring footprint bunkers that alternate left-right-left-right until you get passed the putting surface. 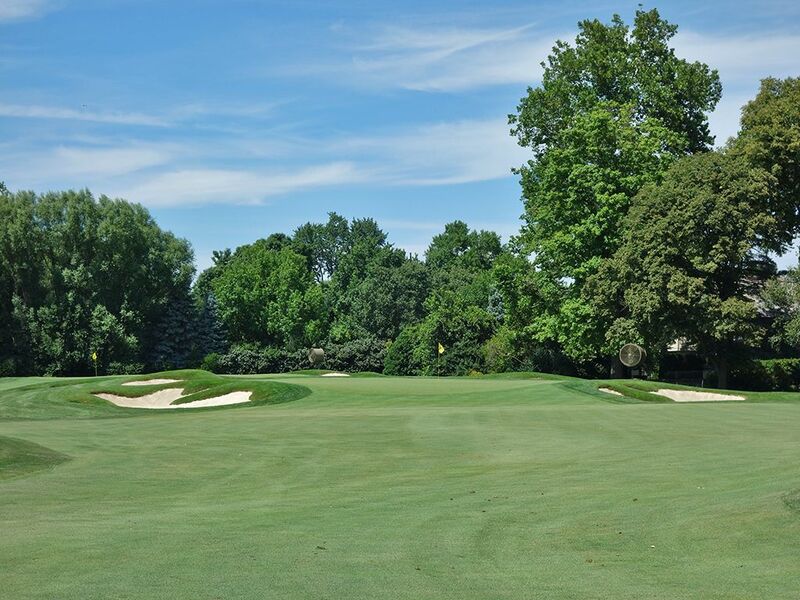 The relatively narrow opening to the green asks you to play a fade in order to take the trouble best out of play and land one softly near the flag. Birdie Time: 7th Hole – 376 Yard Par 4 – Only four yards from being the shortest par four on the course, the 7th hole is ripe for the taking. The smart player hits a drive that stays short of the two fairway bunkers that pinch the fairway 100 yards from the green which leaves them the widest part of the fairway to work with and a scoring club in their hand afterwards. The green is surrounded by a quartet of bunkers, but with such a short distance to the flag, all you should be worried about is going pinseeking. The front of the green is unencumbered and allows for a bump and run shot if that is your flavor. In the end, do whatever it takes to hit is close and enjoy the sweet taste of a birdie. Bogey Beware: 2nd Hole – 458 Yard Par 4 – Arguably the best hole on the property, the 2nd hole is both a beauty and a beast. 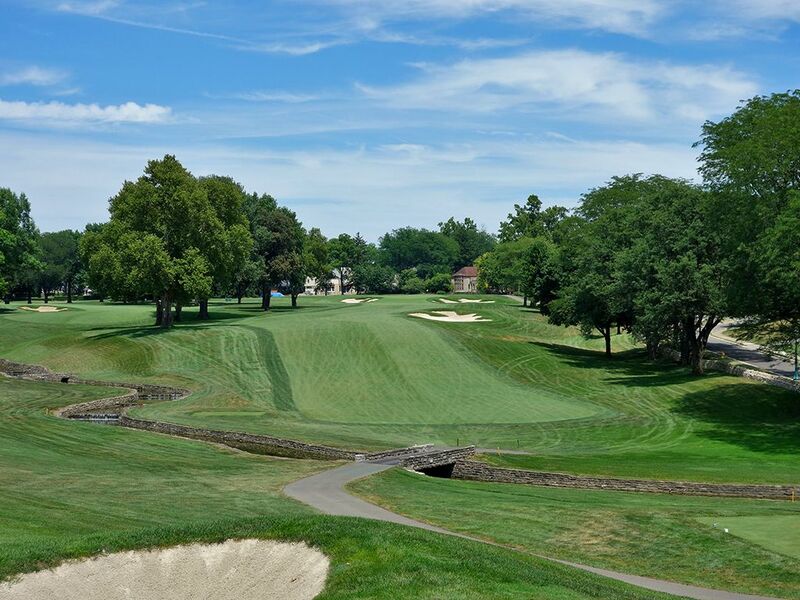 The elevated tee shot plays over a creek to a crescendoing fairway that requires 240 yards to reach the top of before the short grass flattens out. A huge bunker lurks on the right side and trees protect the left, so there is little margin for error off the tee and even less on the approach shot. The raised green is flanked on both sides by deep bunkers while the sloping green makes getting up and down a tough accomplishment. You'll probably bogey this hole, but it is a fun ride with the most exciting tee shot of the day and an impressive green complex.